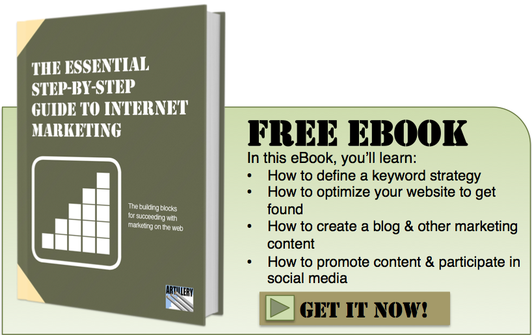 Are you overwhelmed thinking about how to launch a content marketing marketing effort? Don’t be. Focus on these two areas and you’ll be successful. The interest in content marketing continues to grow. 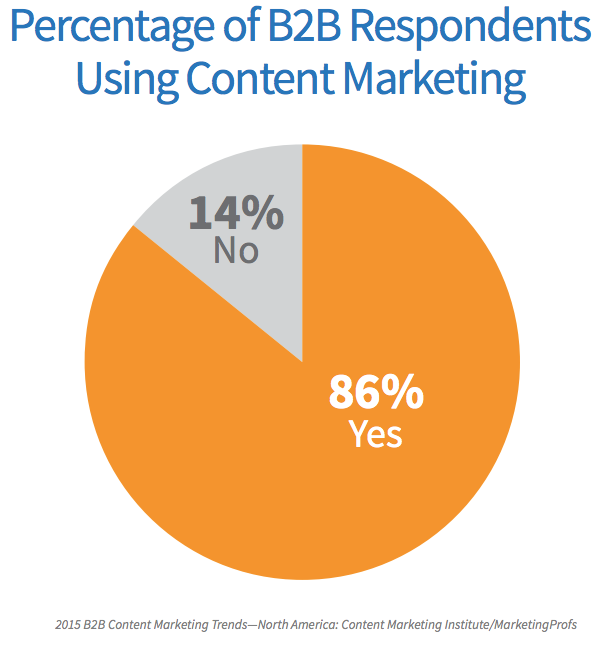 In the latest B2B Content Marketing Benchmarks, Budgets and Trends (North America) study from Content Marketing Institute and MarketingProfs, 86% of survey respondents reported using content marketing. 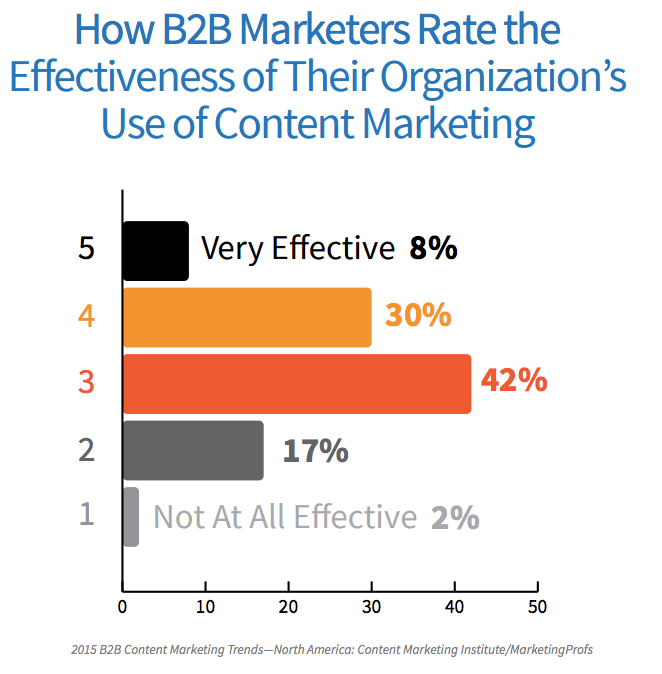 And despite the overwhelming majority of B2B marketers using content marketing as a tactic, perceptions of its effectiveness are mixed. The lack of perceived effectiveness could be due to a lack of strategy. Sadly, in the now resurgent field of content marketing, a “ready, fire, aim” approach is pervasive. 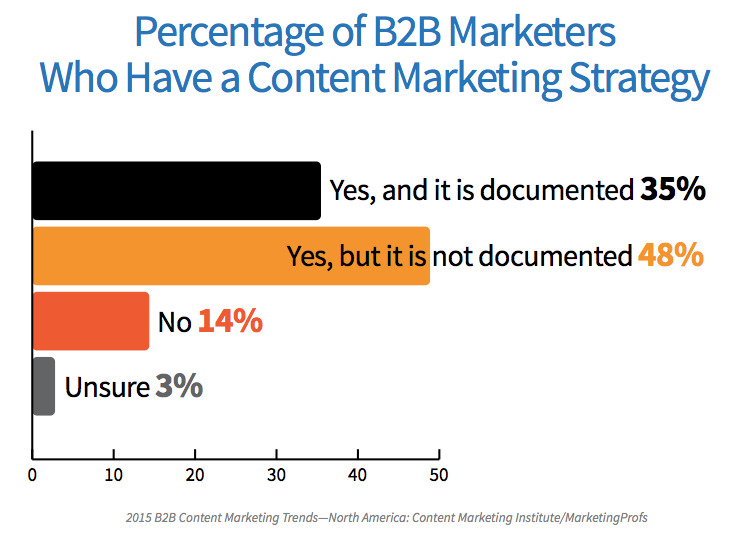 The study showed that many B2B marketers do not have a documented strategy. To some, developing a content marketing strategy brings to mind a long and painful process sprinkled with lots of marketing jargon and buzzwords. But it doesn’t have to be that way. The most effective way to build a content strategy is to start with just two concepts: 1) your buyer persona and 2) your buyer’s journey. Abraham Lincoln once said “Give me six hours to chop down a tree and I will spend the first four sharpening the axe.” The same applies to content marketing strategy. By focusing on your buyer persona and the buyer’s journey, you’ll have addressed the two most important elements of an effective content marketing strategy. These are the five things that will determine if you have buyer personas that will positively impact your content creation, lead generation and sales. Priority Initiatives – “What causes certain buyers to invest in a solution like yours, and how are they different from buyers who remain attached to the status quo?” What three to five problems or objectives does your buyer persona dedicate time, budget and political capital? It’s not about you or your product. Success Factors – “What operational or personal results does your buyer persona expect from purchasing this solution?” To understand the buyer’s approach to a Priority Initiative, identify what tangible or intangible rewards he or she associates with success. Perceived Barriers – “What concerns cause your buyer to believe that your solution or company is not their best option?” What could prompt the buyer to question whether your company or solution is capable of achieving his or her Success Factors? The Buyer’s Journey – “…reveals the behind-the-scenes story at each phase of the evaluation.” What process does this persona follow in researching and selecting a solution that can overcome the Perceived Barriers and achieve the Success Factors? 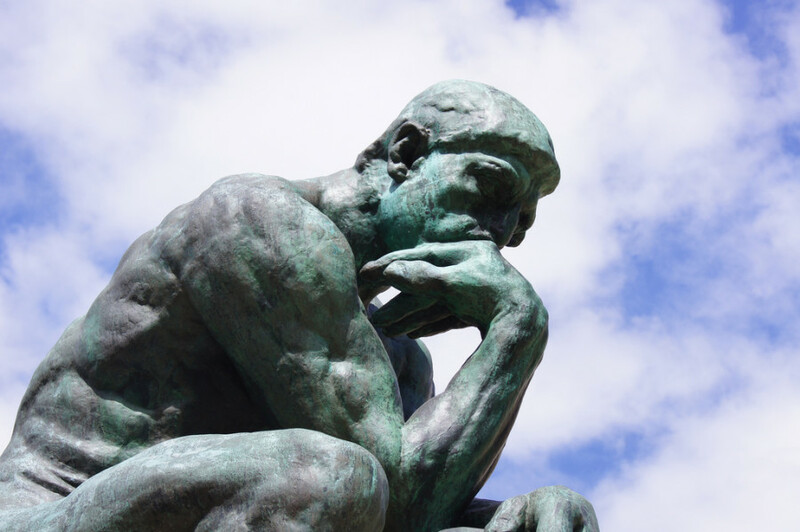 Decision Criteria – “Which aspects of the competing offerings do your buyers perceive as most critical, and what do they expect from each one?” What aspects of each product will the buyer assess in evaluating the alternative solutions available? Once you have researched and zeroed in on your buyer persona, expand on that fifth ring of insight, the buyer’s journey. Providing the right content at the right time as the buyer goes through their buying process is key to success. A buyer’s journey can be an erratic, non-linear path, but for the sake of planning, consider the popular paradigm of awareness, consideration and decision. 1. Awareness (operative term: PROBLEM) – This is where a prospect is experiencing and expressing symptoms of a problem (or opportunity). They are beginning to do educational research to more clearly understand, frame and give a name to their problem. The type of information that is most helpful at this stage is vendor-neutral information that helps identify problems or symptoms. Examples would be analyst reports, research reports, eBooks, editorial content, educational content, etc. What the buyer doesn’t want at this point is lots of information about the company that is providing the content (e.g. pricing, testimonials, case studies, etc.). The prospect doesn’t even know what options exist to solve their problem and they probably don’t understand how the content producer could help. Slow down! 2. Consideration (operative term: SOLUTION) – At this point, the prospect has clearly defined and given a name to their problem or opportunity. They are committed to researching and understanding all of the available approaches and/or methods to solving the defined problem or opportunity. Content that is most relevant to the buyer at this stage would help him weigh his options such as comparison white papers, expert guides, webinars, videos, etc. 3. Decision (operative term: PRODUCT/SERVICE) – The prospect has now decided on their solution strategy, method or approach. They are compiling a long list of all available vendors and products in their given solution strategy. The prospect is researching to whittle the long list down to a short list and ultimately make a final purchase decision. Typically ideal content for this stage includes vendor (or product) comparisons, case studies, trial download, a live demo, product literature, etc. Before producing any marketing content, determine which of the three buyer journey stages it supports. A great strategy can save mediocre tactics. Not true for the reverse. With deep insights into your buyer persona and an understanding of their content needs as they go through their buying journey, you can have the foundation for very successful content marketing strategy.